TRIANGLE United face troubled Buffaloes at Vengere this afternoon as they hope to consolidate top spot after walloping Hwange in an eight-goal thriller on the opening weekend of the Castle Lager Premier Soccer League last Sunday. Triangle come into the match brimming with confidence after putting five goals past Hwange at Gibbo Stadium while the hosts lost 0-3 to league champions Dynamos. The game will be played in Rusape after their usual Sakubva base has been considered not fit to host a Premier League game by the PSL authorities. Both teams could not manage to keep a clean sheet as they leaked five goals between them. The last time the two sides met at Gibbo, Buffaloes were again at the receiving end as Triangle registered their biggest victory, scoring five goals against the soldiers, who only managed one consolation goal. Richard Kawondera, who scored a brace in that fixture, has already registered his name on this season scoring charts and will be key in Triangle’s attack against Buffaloes this afternoon. 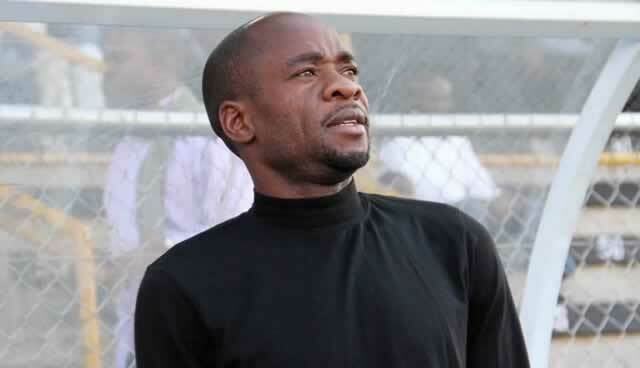 Buffaloes lost their head coach in Moses Chunga just weeks before season the season got underway and need to regroup fast if they are to collect maximum points against the Lowveld based side. Kaindu is confident his men can do well in Rusape. “We scored five past a very good and organised Hwange side and those five goals came from different build-ups and from different players and that is a sign of a good team and I hope we will continue with such a good vein of form,” said Kaindu. Triangle have been boosted by the return of exciting winger Marlvin Gaki from the Young Warriors where he played a full game when they beat Cameroon 1-0 . They will miss the services of regular fullback Praise Tonha who was not included in the travelling squad after also returning from national duty. Gaki and Dumisani Ndlovu are the only new recruits who could make their official debut as the rest of the new players are yet to be included in the match day squad. The Former ZPC duo of Ephraim Mwinga and Peter Muzondo, as well as Zambian international Antony Sakala, have been left out. Young defensive midfielder, Tichaona Chipunza, who had a good game against Hwange, was optimistic of collecting maximum points. “I have a feeling that we are going to win and the unity that we have on and off the pitch will definitely play a significant role towards our common goal, which is to win. “We will back whoever is chosen by the coaches to start because we have depth in our squad and we have a strong technical team, which is always on our side, helping us become better players everyday”, said Chipunza.